Flights to Curacao are not all that difficult to find. While not as numerous as flights to its sister island, Aruba, you still have a fair selection of flights and airfare to choose from. 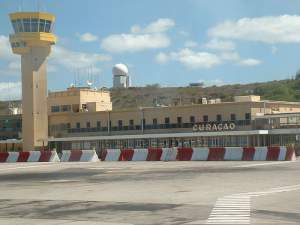 The main airport in Curacao is Hato, or Curacao International Airport. This tourist-friendly airport is located 15 minutes outside of Willemstad, the capital of the island country, on the southern side of the island. 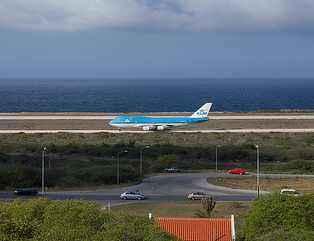 Curacao International has the largest runway in the Caribbean and offers daily flights to the United States and Europe. The airport code for Hato International is CUR. The Curacao International airport offers a few different airlines that fly directly from the U.S. and Canada. Some airlines only offer flights seasonally. American Airlines offers two direct flights to Miami (MIA) everyday of the week. American also offers direct flights from New York (JFK) to Curacao. Continental Airlines offers a direct flight from Newark (EWR) about three times a week. Continental has changed the days of these flights so there is no guarantee that a flight will be available the day you need it. Delta Airlines recently closed their direct flight from Atlanta (ATL) to Curacao that was only offered on Saturdays and seasonally. You may want to check and see if service has started again. Insel-Air is a Curacao-based airline that offers a nonstop flight to and from Miami. The flights are offered daily and in November Insel-Air plans to open a nonstop flight to Curacao from Charlotte (CLT). Skyservice Airlines Inc. offers a nonstop flight from Toronto (YYZ) to Curacao. Unfortunately this service is only offered during the winter months. There are airlines that offer direct flights from Amsterdam (AMS) with Curacao being a well-placed go-between for South and Central America. Air France-KLM has the most direct flights to and from Amsterdam to Curacao. Air France offers these flights everyday of the week. Arkefly also offers a nonstop flight service to and from Amsterdam to Curacao. Crimea has three nonstop flights a week, on Monday, Friday and Saturday. Martinair offers a nonstop flight to and from Amsterdam. Dutch Antilles Express is a Curacao-based airline that offers nonstop flights to various locations. DAE offers daily services to Colombia and Venezuela along with various islands, including Aruba and Bonaire and others. Insel-Air provides direct flights to the most locations. While providing a Miami flight, Insel-Air also offers services to Las Piedras, Kingston, Santo Domingo and many others. EZAir offers a nonstop flight to and from Bonaire. Tiara Air provides a daily, direct flight to and from Aruba. If you are going to Curacao, you may also find our page with lots of general information on Curacao helpful. Photos courtesy of coundour and cphoffman42. Thanks!